This is the part where you have the least to worry about. Under factory-controlled conditions, your house is being created by professionals who build hundreds of houses per year. 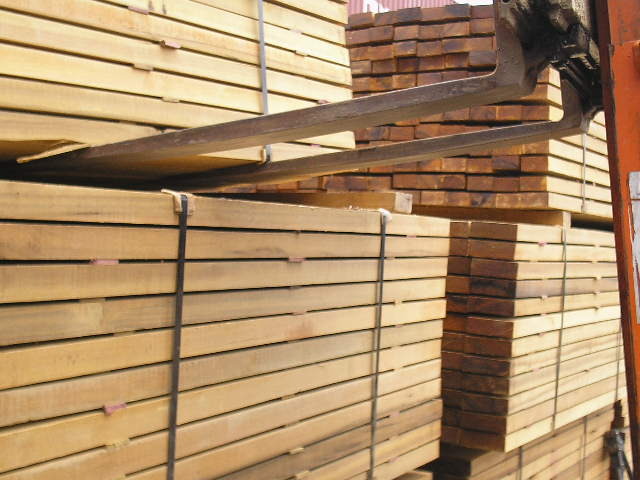 Raw materials like this lumber are purchased in huge quantities, saving both you and the manufacturer money with bulk discounts. One of the reasons that modular construction is so much less expensive is that with a standard site-built home, all members of the construction crew have to be well trained to perform many different tasks on the house. With Modular building, one member of the crew could be responsible for only installing cabinets. This means that the crew member only has to be trained to do that and becomes an expert in that one task. Another cost-reducing factor is that because manufacturers build such a high volume of homes, they can get bulk pricing on even specialty items. Where a builder of a site-built home would have to order just the oven, bathtub, faucet, or window panes that are needed for that one home, modular manufacturers can place larger orders. Similarly, a site-built home builder will order enough basic material for the one house, while a large manufacturer can work out deals with lumber yards to get massive amounts of high-quality lumber on a fairly constant basis. With site-built homes, builders will order their lumber and other building materials all in one size and then cut it down to the size that is needed on site because it is less expensive than ordering custom-cut materials. Because modular manufacturers are building such a large number of homes, they can get custom cut lengths, resulting in far less wasted building materials. Factory construction is much more streamlined than on-site construction because every part of the house can be worked on at the same time and because construction starts at the same time as site-prep work is being done. Everything can happen at once during the manufacturing stage, greatly reducing the amount of time it will take to complete a house once the planning stages are over.